So, how do you count mountain gorillas? Only by knowing exactly how many mountain gorillas there left in the world can we tell if we are winning our conservation battle or if poaching and habitat loss are continuing to push these wonderful creatures closer to extinction. So that’s why a new census is currently being carried out in the Bwindi Impenetrable Forest in Uganda, one of the only two places on the planet where you can find mountain gorillas (the other being the Virunga Massif, which stretches across Rwanda, Uganda and DR Congo). Found one! 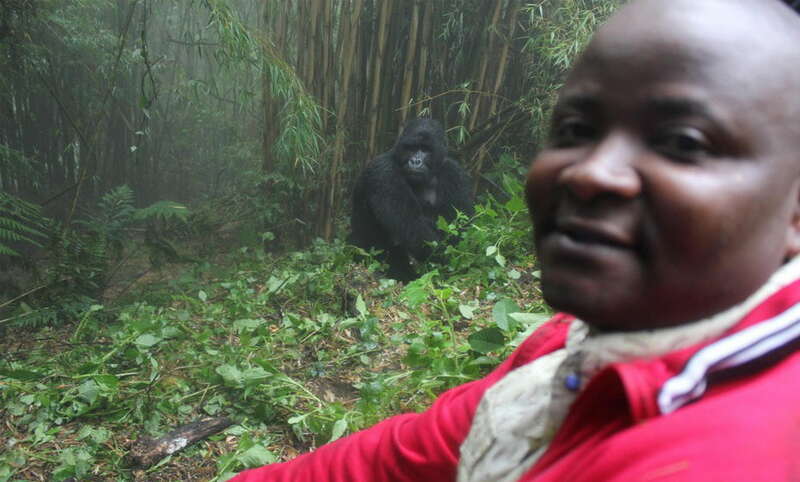 Here I am on a mountain gorilla census. Not all gorillas are as easy to find as this one.. I have been lucky enough to take part in such counts in the past – and let me tell you, it’s not easy! The first question most people ask is, of course, how do you count gorillas? After all, most of them are notoriously shy, especially those living outside the groups that have been habituated for tourism or research purposes. What’s more, they never stay in one place for very long, making new nests to sleep in every day. And, of course, to the untrained eye, most gorillas look very much alike! Surely you will just count the same one many times..? But, as I learned from my time on the census, counting gorillas is a complex, scientific business. I joined a team of three of the 60 rangers currently taking part in the census and we ventured deep into the National Park. We didn’t look for the gorillas themselves, but instead for evidence of them. We searched for day and night nests, marking their locations using the latest GPS technology. We also took forensic samples from the nests, and its these that are key to getting a highly accurate figure – but also the reason why the final result won’t be published for some months. These samples will be sent off to a special laboratory to be analysed and then, with thousands of different sets of DNA to work with, the researchers will be able to work out exactly how many individuals there are living in Bwindi. This way we can even include lone gorillas, usually blackbacks or silverbacks, who hide in the forest and who may never have seen a human in their lives. Mountain gorilla families move every day – but they leave behind telltale clues we can use to count them. I’m very excited to see how this census develops. It is a great chance to make full use of the latest GPS technology – technology that would have made past counts a lot easier! – and the findings will help us gauge just how effective our conservation efforts have been over the past year. 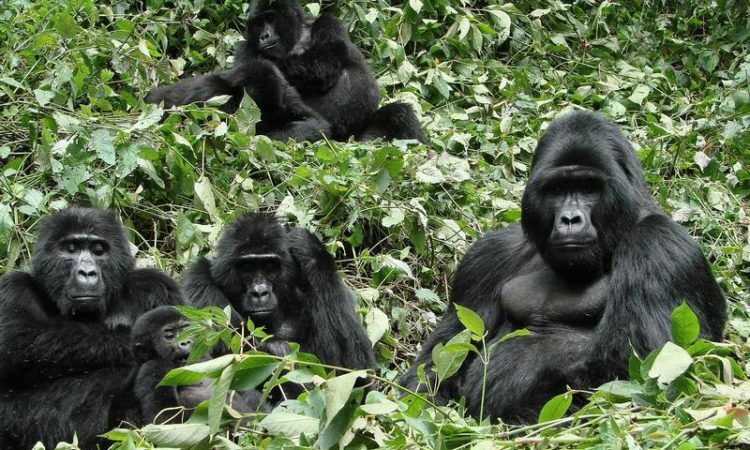 As well as providing an insight into the wellbeing or mountain gorillas, the data will also provide a comprehensive overview of the health of the entire ecosystem, including how well other key species are faring in this part of Uganda. But perhaps what I’m most looking forward to learning is how humans are affecting gorilla behaviour here. The rangers and other researchers carrying out the census will, of course, find snares and other traps, so they will be able to assess how bad poaching here is – or if we really are winning the war against this threat. But the data will also help us see how gorillas are reacting to other intrusions into their natural habitat, for instance the encroachment of farmland. So, best of luck to the team as they begin their hugely important work. Fingers crossed the end results show that numbers are rising and our work – and your generous support – is making a real difference.